Hora de Hitmontop! 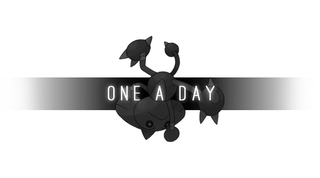 Pokemon One a Day, Series 2! 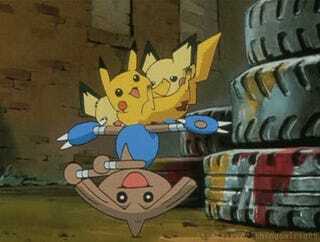 Hitmontop’s gimmick isn’t just about being a kicky beyblade! Upon prepping for his illustration, I learned that he’s a practitioner of Capoeira! This was news to me, and soon couldn’t wait to figure out what to do to play that up. As I researched the brazilian martial art, I came across visualized steps of many moves and thought that would be a brilliant way to express Hitmontop’s visually expressive fighting style! So first, I found a video of X and Y’s portrayal of the dumbly classified “handstand” pokemon, which features a capoeira dancing stance. I thought it was adorable and used those as references for starting and finishing poses. To fill the rest of the work, I looked up many visual steps for various kicks, flips, and sweeps. Mostly, I pretended I was playing as Eddie Gordo or Christie from Tekken. I kept with the simple black silhouette as it would make reading the actions a lot more simpler and more streamlined, and of course less work for me. This didn’t mean it was any easier setting up the composition/sequence. I had to make sure everything read right and it took some time figuring that out. From there, it was a matter of cleaning up edges and fine tuning the silhouettes. To add some final flavor, I added in Portugese for start and finish, to keep the flow on point. Having the numbers thrown in also tells people it’s a sequence, and not just a random set of varying moves/attacks. Of course, I made sure the spinning top actions were part of his form, but kept it more to a minimum since I no longer see that as the crux of his design, which I always thought was stupid and weird when you have a boxer and kickboxer counterparts. So that’s all, folks! We’re really close to the finish line! Knowing that we’re that close is very exciting and I’m going to give it my all to these last batch with plans to really go all out for the legendaries that are coming up. Stay tuned, mmkay!? Hope you all had lovely weekends! Question of the Day (From Tyrogue): Translate the foes and allies of the DBZ world into their Pokemon counterparts! Question of the Day (Ver. Hitmontop): What martial art or fighting style would you like to see in a future “Hitmon” pokemon? How would Tyrogue’s stats need to stack to reach that evolution?